I recently mentioned that I'm keen to bring some DIY content to A Natural Detour this year but at the moment I still haven't really got the space to do this properly. Whilst I'm working away on putting together an area where I'll be able to have some space for creating tutorials, I thought it might be interesting to revisit some DIY projects past instead. For today's post I perused the archives of my old blog (Halloween-themed DIYs excluded because as much as I love them I'm sure most people won't want to read about them in March!) and selected five of my favourite projects to reshare with you. 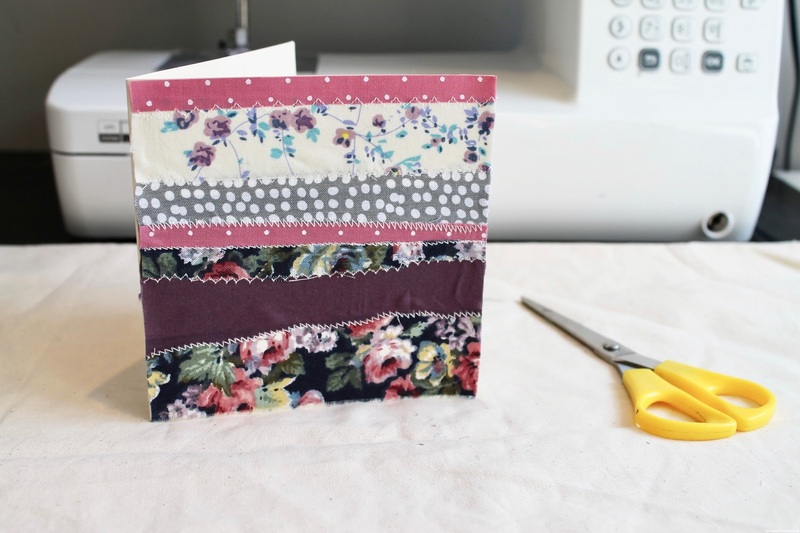 I've sent a lot of homemade cards over the years but one of my favourite designs would have to be these upcycled fabric ones. This project is a great way to use up any small scraps of fabric and you can quickly create some really unique designs. This super simple no-tools-required jewellery project has to make the list as I'm still wearing one of these DIY hoops in my cartilage piercing three years later! Another DIY item I still use today is this Kindle case I made way back in 2012 when I first got back into reading on a regular basis. There have been several occasions where I thought my Kindle might be about ready to break down permanently but the case is still going strong! My final pick is this post sharing various simple techniques for creating your own handprinted fabric designs. I used household items such as bubble wrap, erasers and string to print these as part of making my very first quilt (which you may have seen lurking in the back of my Instagram photos) and I was so pleased with how they turned out!